Our lives swirl around computers and the internet. That is a fact, and there is no denying their impact on the way we do things and perform everyday activities. With those tools, we can research for school or work-related affairs, stream movies or series online, read the daily news, play games, or enjoy social media outlets, among others. In the tech and computer devices industry, two brands have dominated the market share since the eighties: one of them is Apple, and the other is Microsoft. Both American-based companies are still up and running, and they are stronger than ever. Windows has been on the market since the mid-eighties, specifically in 1985. It’s the latest version – the Windows 10, existed since 2015. It continually receives feature updates, security patches, and long-term support milestones. The Windows 10 operating system also features universal apps, and there are no compatibility issues: the platform can run on PCs, smartphones, tablets, embedded systems, Surface Hub, Xbox One, and others. Windows 10 features “Cortana”, a personal assistant to help people smoothly navigate the system. The user interface is touchscreen-oriented, a marked upgrade from the popular mouse approach. One of the most exciting additions that the Windows 10 brought to the family was the Microsoft Edge web browser. It is no secret that the old, unreliable Internet Explorer needed a replacement. There is support for fingerprint and face recognition login, and the DirectX 12 and WDDM 2.0 are also welcome additions. However, not everything is perfect with Windows 10: Microsoft and some of its partners collect some of their users’ data. While some internet and Windows 10 users may not care about their data and browsing history being logged and shared to third parties, there is a sizable community of users that find those practices to be threatening to their online privacy and security. Additionally, there are a few security loopholes related to Windows 10 that can be such a headache. To combat these situations, it would be better to hide your shared content online and even your location, which is made public by your IP address. Virtual Private Networks, or VPNs, represent the perfect solution to those problems. They are online apps that use protocols to encrypt the users’ content in such a way that it can’t be deciphered by any third party or external agent, not even hackers or your Internet Service Provider. The user’s information, traffic, and IP address travel to remote servers via computer-generated “tunnels,” to safely avoid any harmful agent on the web. That is why a reliable VPN can protect against possible loopholes and entities sniffing around your traffic. IPBurger has a strong track record of responsible privacy management, and its client base is more than happy with its security features and its strict no log policy. It also has shared and dedicated IP addresses for all users and applications. Go to that VPN’s website. Sign up for the VPN service, providing your data (only your email address and name in most cases) and a payment method. Download and install the VPN client for Windows. Sign in to your VPN account. Connect to a virtual server. Right-click in the Start button. Go to the Network and Internet section. Choose the Add a VPN connection option. Go to the menu located below the VPN provider. Type your VPN connection name. Type the server’s address, which you will see in your VPN account. Go to the drop-down menu, just below the VPN type. Choose the menu below Type of sign-in info. Click on the VPN you configured. It will be available in the VPN list. In conclusion, Windows 10 is one of the most dependable operating systems for personal computers. 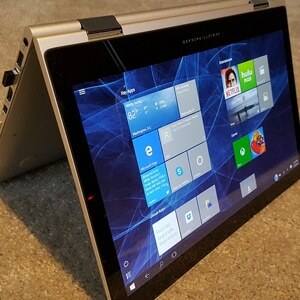 It upgraded most elements from the Windows 7 and Windows 8 experiences, and it marked the introduction of the personal assistant Cortana and the Microsoft Edge web browser. However, Microsoft is known for storing data logs of Windows 10 users. To avoid any unwanted situations regarding your privacy, you can set up a VPN on the operating system and rest easy.